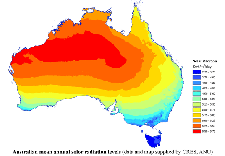 So you’re thinking about installing solar on your roof in NSW or Queensland, huh? The Aussie government promotes ‘green initiatives’ and will help you financially, but they haven’t made it easy for you. First of all, you get ‘Solar credits’ for installing eligible solar systems in Australia. The credits are simply multipliers for renewable-energy incentives called STCs (or Small-scale Technology Certificates). What the heck is that? Well, it’s probably like a coupon or a gift certificate that you can redeem for cash (or tax credits), right? Wrong. They’re more like green energy stocks that are traded among registered agents or on a specific market called the ‘Clearing House’. What the heck is a registered agent? Maybe your installer. But maybe not. Think solar can’t pay for itself? With the right combination of State incentives and expensive electricity rates, a solar PV system can have a payback period of 10 years or less. Here are ten US States with a solar payback of 10 years or less. If you want to know how much solar it could cost to go solar in your state? Check out the infographic below from 1BOG.org to see the average cost to go solar in your state. Then check out how much you can save each month, over 20 years, and the average payback time for solar. So, you’ve got a few quotes from solar installers and want to know which solar power system will give you more energy / output / electricity. 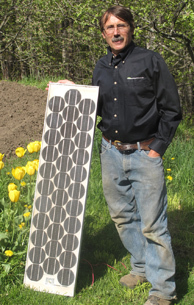 Let me teach you how to calculate solar output like the pro’s. This way you can double-check their quotes to know you’re getting a good deal. Step 1: Grab your solar quotes and look for the specific solar module name and how many solar modules will be installed. Make sure you know the exact panel. Circle the panels and how many. Ex. 20 x SunPower SPR-200-BLK-U. Then find the exact solar inverter in the estimate. This might be SMA SunnyBoy, Xantrax, Fronius, or Enphase. Circle this too. Ex. SMA SB4000US (240V). One great thing about the California Solar Initiative (CSI) is that they keep pretty good data on the solar in their state. Thankfully it’s the US State with the most solar installations (4 times as much as 2nd place, NJ). 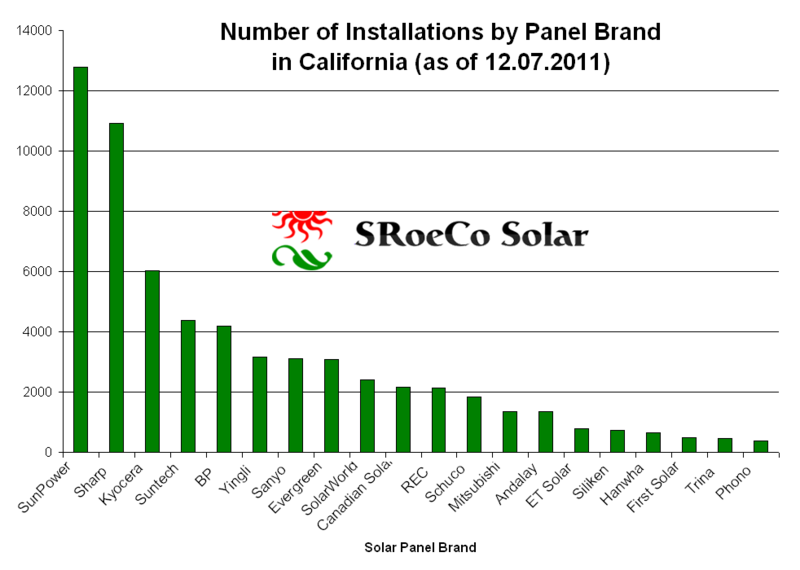 So we can use CA’s data to find out which solar panel brand is the most popular. The two most popular are SunPower and Sharp. Then, there’s a big drop off to Kyocera and Suntech. You won’t see BP’s number get any higher as the company has decided to shut down it’s solar division. So, now that we know which solar panel brands are being installed the most, let’s see how difficult it can be to compare solar panels. Solar panel efficiency is simple, but there a few things you need to understand. There are 3 main types of solar efficiency. 1. Module efficiency measures how well a solar module (aka panel) converts the Sun’s energy into usable energy. If the Sun dumps 100 Watts of energy onto the module and the module spits out 15 Watts, the the module is said to have 15% module efficiency (15 W / 100 W = 0.15 = 15%). If you want to brag to your friends that you have a top tier efficiency panel, care about this. How much do solar panels decrease over time? The solar industry standard is a conservative estimate of 3% in the first year, and less than 1% per year after that. However, solar panel manufacturers are starting to realize that this is too conservative, and they are beginning to warranty their panels to more realistic degradation rates. There are three points I want to make. Use the solar panel’s warranty to compare output loss over time because that is the only output you are guaranteed. Realistically expect less than a 3% decrease in output the first year, and about .5% decrease per year after that for most panels. One solar panel from 1979 was tested in 2010 (after 30 years) and its output was better than the original factory specs. 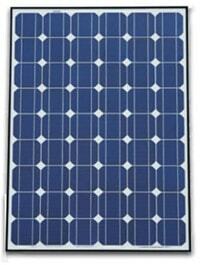 Here are links to solar panel manufacturer warranty documents. Please contact us if you would like to contribute more! Thanks! Hope this is helpful.